Duke Energy pleaded guilty Thursday for spilling nearly 40,000 tons of coal ash into a river in North Carolina and for polluting other rivers in the state. The utility faces more than $100 million in fines for violating the Clean Water Act. For years, environmental groups lobbied the government to regulate coal ash, a byproduct from coal-fired power plants. Coal ash can contain toxic materials, including arsenic, mercury and lead. And there have been other high-profile accidents. Now a new rule from the U.S. Environmental Protection Agency is about to go into effect, but it may not change much about how coal ash is handled in Georgia. Juliette is just north of Macon. It’s the town in the movie “Fried Green Tomatoes,” home of the Whistle Stop Café. But when you get off Interstate 75 and head east toward Juliette, before seeing the wooden sign that announces the town’s Hollywood connection, you see two giant chimneys towering over the trees. That’s Plant Scherer, one of the biggest coal-fired power plants in the country. Georgia Power opened it in the early 80s. “We were always told we’d never know the plant’s here,” said Mark Goolsby, as he looked toward the plant. He grew up across the street from where Plant Scherer now sits. His dad sold some of the land to Georgia Power. 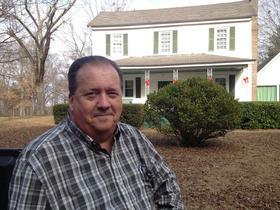 His mom still lives there, in a spot that’s belonged to Goolsby’s family for 200 years. Less than a mile away from his mom’s front yard is Plant Scherer’s coal ash pond. And Goolsby’s concerned the ash from Plant Scherer is making people sick. He said other people in his family who lived on this road got sick, too. “We’re not making these things up. And it’s not just by happenstance, it’s going on. I mean there’s a problem,” Goolsby said. Coal ash drifts over in the air from the plant, he said. And he’s worried it’s seeping out of the pond into the ground and affecting his well water. Georgia Power said that it monitors the air and water at Plant Scherer and that it complies with all state and federal standards. But coal ash has caused problems in other states. The U.S. Environmental Protection Agency has documented cases where coal ash contaminated groundwater and streams. And there have also been more dramatic accidents. In 2008, the dike on a coal ash pond in Kingston, Tennessee failed. The sludge that spilled out wrecked homes and flooded a river. And there was the Duke Energy spill in North Carolina last year. After years of pressure from environmental groups, the EPA announced its first-ever coal ash rule in December. The agency had considered classifying coal ash as hazardous waste, but instead the new rule treats it as municipal waste. This has upset environmentalists. The EPA’s decision is a relief to Tim Earl, who works in environmental affairs at Georgia Power. A stricter rule would have cost more to follow and required more work, he said. “We’re in compliance with everything we have to comply with, and will do whatever it takes to remain that way,” Earl said. Earl took me on a tour of Plant Wansley, another one of Georgia Power’s coal plants. I’d asked to see a coal ash pond. The company wouldn’t let me visit Plant Scherer, but offered this one, near the Alabama border. It’s one of Georgia Power’s larger plants, though not as big as Plant Scherer. The coal ash gets mixed with water, then moved through pipes to a pond on the property. The pond looked like a small lake. Trees lined one side, and a few birds stood on its bank. The watery ash coming out of the pipe is foamy, muddy yellow. Eventually, the ash settles to the bottom of the pond, explained plant manager Scott Smith. Georgia Power does frequent tests, to make sure the water that leaves the pond is up to environmental standards, he said. One of the things utilities will have to do going forward is build ponds like this differently. New ponds will have to have a synthetic liner built in. The pond at Plant Wansley is what utilities call “unlined.” There’s nothing between the coal ash and the ground. “When the pond was built, it was built within all the current standard guidelines, regulations and so forth,” Smith said. But Earl said he wouldn’t know if it was contaminating groundwater. The company isn’t required to monitor it. “We really don’t have any reason to think there is an issue, but at the current moment, we do not groundwater monitor around these ponds,” said Earl. This story isn’t about if Georgia Power is doing anything wrong. According to the Georgia Environmental Protection Division, the utility is currently in compliance with solid waste standards. This story is about if the EPA’s new coal ash rule goes far enough to keep something bad from happening. But the EPA won’t be enforcing any of the requirements. “The rule is what we call self-implementing,” said Stanislaus. The EPA is telling power companies to follow it, but won’t be making sure they do. States can choose if they want to adopt and enforce the requirements. If states don’t adopt the rule, then the EPA says citizens can enforce it with lawsuits. To help with that, the EPA is requiring more transparency from utilities. 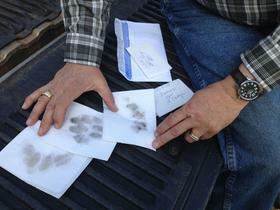 Companies will have to post information online about how they’re handling coal ash. “I think it’s a good thing, ultimately, but at the end of the day there’s always a trust issue,” said Jay Bevington. A few years ago, Bevington studied the well water near Plant Scherer as a University of Georgia master’s student in environmental engineering. But Bevington said the people he talked to during the study don’t trust Georgia Power. They were worried Plant Scherer was affecting their well water. “They were afraid to drink their water and they were afraid to even shower in their water,” he said. One of those people was Donna Welch. The tests showed her well had high levels of uranium. Her family lives downstream from Plant Scherer. She said she and her husband had been dealing with strange health symptoms: numbness, hives, liver problems. “It just in my mind is a no-brainer that if there’s a 750-acre unlined coal ash pond, that we think it’s seeping into our aquifer and it’s poisoned the groundwater,” said Welch. She tried to sue Georgia Power. (And this is what the EPA’s rule is relying on. For citizens to sue power companies when there’s a problem.) But Welch ended up dropping the suit. She said she couldn’t prove where the uranium came from. “The experts so far, they say that the science is so complicated, they aren’t willing to say before a court that this is coming from the coal ash pond,” she said. In fact, Bevington doesn’t think the problem with Welch’s well is due to coal ash. He found that the uranium in the well is naturally occurring. Another study by the Georgia Department of Public Health backs him up on that. But Bevington said that still doesn’t settle the issue for him completely. He’d like to see more groundwater studies and more air monitoring. And he doesn’t think it’s a good system to rely on regular citizens to enforce the rule with lawsuits. “It’s really a small community, fighting a very large fight, and it’s not necessarily solely their responsibility to fight just because they live next door,” said Bevington. Georgia Power is reviewing the EPA’s new rule, which starts phasing in this October. Georgia’s Environmental Protection Division is considering whether or not to adopt the rule.